An existential comedy. It absolutely tickled my funnybone. 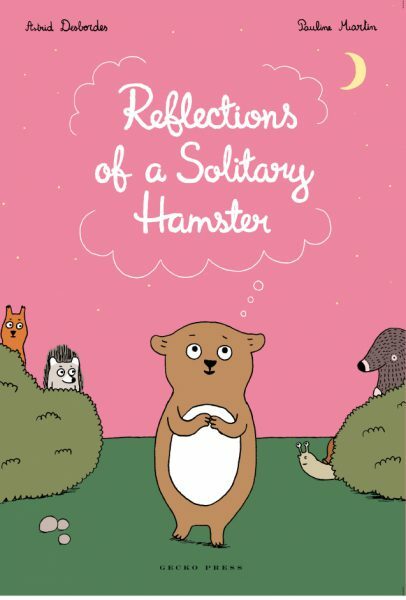 Philosophical, ironic and terribly funny, The Reflections of a Solitary Hamster will appeal to thoughtful readers—young and old. In Reflections of a Solitary Hamster, give and take, laugh and reflect along with Hamster and his ever-patient friends. The friendship between a group of forest animals is brought to life in this enchanting book of comic-strips. Hamster is the selfish and narcissistic main character surrounded by affectionate friends who love him, warts and all. We all have friends or family members like this, who we love in spite of their annoying characteristics. Philosophical, ironic and terribly funny, The Reflections of a Solitary Hamster will appeal to thoughtful readers young and old. What would you do if you had a friend who was greedy, selfish and very conceited? Would you throw the person a party and sing their praises? Well, that’s exactly what one group of forest animals does for their not-so-likeable friend, Hamster. Reflections of a Solitary Hamster, by French philosopher Astrid Desbordes and illustrator Pauline Martin, is a clever, enchanting book, filled with cartoon-like illustrations, that takes you on a journey of friendship and acceptance. As Hamster allows you into his most selfish thoughts, you will marvel at the generosity and affection of his forest friends. And while Hamster focuses on his own importance, the other characters in the book become the most important of all. They have something that Hamster doesn’t have – something that makes a big difference to Hamster. If you’ve ever wondered what makes a friendship work, then enter the world of this solitary hamster to discover how real friends can see beyond the things you do and say. In a little community of friends Hamster stands out for his self-absorption, greediness and selfishness as he ponders his centrality in the universe and, more importantly, in his group. As his birthday approaches and he tries to manipulate the party and the presents, he is shamed by the generosity of his friends (not that he notices) who together provide a wonderful evening and pleasure for all. Has Hamster learnt anything? The reader could be forgiven for thinking that Hamster has not. A most unusual presentation in comic book style, the story is forwarded by the animals’ philosophical musings and conversation in speech balloons. There is much here about human behaviour. Astrid Desbordes is a French philosophy graduate who has previously written on philosophy and religion for adults. 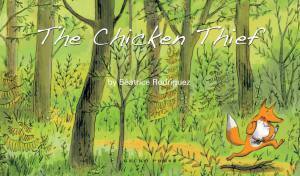 Her first children’s book, with its echoes in title and spirit of Rousseau’s Reveries of a Solitary Walker could well be described as philosophy and religion for children. A series of large-format comic strips in solid muted colours and naive line drawings presents a group of woodland friends: Rabbit, Snail, Squirrel, Mole, Hedgehog and the eponymous Hamster. Like Rousseau, most of the animals are concerned with the larger questions of life, with ‘the study of nature and the contemplation of the universe’. Can a worm weep tears of joy? asks Mole who is writing a novel. What is it like on the other side of the world? wonders Snail. Is a soft hedgehog possible? What is the most beautiful word in the world – friendship? Loyalty? Adventure? Commonsense? or (Hamster’s contribution) waffles? For Hamster is the enfant terrible of the group, egotistical, selfish, vain and venal. When life throws him unexpected walnuts he demands coconuts; his diary is filled with self-aggrandising lies, and when a friend needs help he develops a mysterious malaise. Yet for all his faults, his friends continue to love and value him, as is amply demonstrated not only by their forbearance but by the combined present they prepare for the birthday party that forms the climax of the simple meandering plotline: an affirming and heart-warming song about what a wonderful Hamster he is. Reading like the offspring of a marriage between Snoopy and Little Grey Rabbit, this is an endearing, often funny, always thought-provoking book to share with all ages from 5 or 6 up. This picture book is described as being for ages 5 to infinity and, judging by the chuckles as it was passed around a family that included children aged 7,10, 12, 15, mum, dad and grandma, that claim is justified. 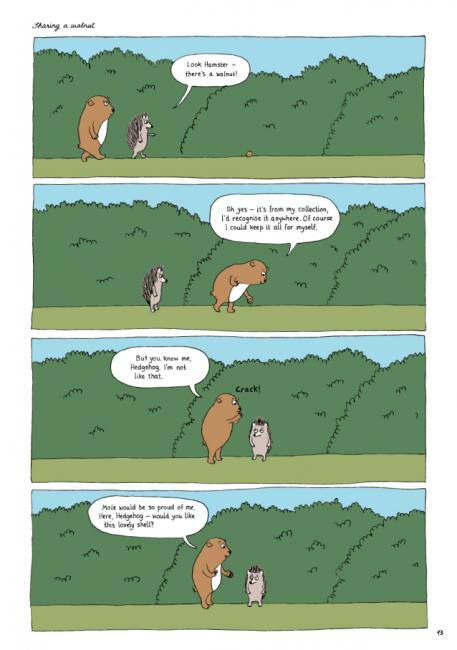 The story, in comic strip format, tells of the friendship between a community of forest animals. Illustrated by Pauline Martin, Reflections of a Solitary Hamster introduces us to a self-absorbed rodent who adores waffles, which he only reluctantly shares. Yet he manages somehow to be endearing, in spite of his annoying indifference most of the time to the needs and wants of others. An upcoming birthday sends Hamster on a journey of the mind and, luckily, while his wits are wandering and his ego expanding, his good friends conspire to keep his feet firmly on the ground. Reflections of a Solitary Hamster is a picture book that really is for the smart set – be they five or 50. The book is translated from the French, and is a riff on Rousseau’s solitary walker. This version features a delightfully selfish hamster who is surrounded by thoughtful friends who successfully and generously manage the hamster’s relationships. If you end up reading this book to a child a hundred times, you will remain delighted – and if you are grown up, I suspect that, like a child, you’ll return again and again. This book is like a soap-opera for children. 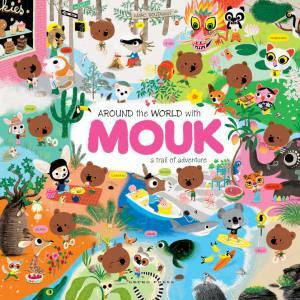 A book of comic strips that focuses on the life of a group of forest animals. Each of the friends has their own unique characteristics and their interactions are quite entertaining. From hamster, who has a bit of a nasty streak, to the more laid back mole. The story culminates in Hamster’s birthday party where all the forest friends get together. It’s your usual sort of birthday party – presents, games, laughter and dancing. It’s a simple story, but one that revolves around friendship and understanding – we aren’t all the same and it would be a boring world if we were! 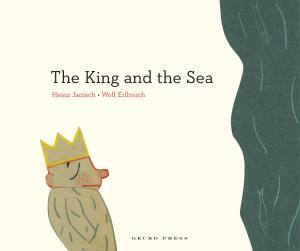 The illustrations are very simple, but clever and children will enjoy exploring the words and the pictures. … A graphic novel with a humorous tone that will appeal to a wide range of reading ages and abilities. It’s all about friendship, sharing and recognising all the wonderful things we give and receive from the ones we love. Reflections of a Solitary Hamster is about a group of forest animals – Hamster, Rabbit, Snail, Squirrel, Mole and Hedgehog. Hamster is the selfish, egotistical, borish it’s-all-about-me character… The others love him warts and all and Hamster has a lot of warts!! This is a very funny, philosophical graphic novel full of irony. It can be enjoyed at many levels and is well worth a read. Astrid Desbordes and Pauline Martine bring to life a forest filled with friendship through an enchanting series of comic strips. The book centres on Hamster, who is a star in his own mind and who thinks is the most important animal in the forest, perhaps the world. He is annoyingly selfish and bad mannered, yet his friends love him warts and all. Maybe if he took some time to look around him instead of being so self centred, he would find out what true friendship was all about. This is a book for all ages, with thought provoking themes of friendship, sharing and giving. It is a humorous take on Jean-Jacques Rousseau’s `Reveries of a Solitary Walker’. Astrid Desbordes has previously written books on philosophy and religion for adults but this is her first book for children. With her background, it is understandable that this book is philosophical, but it also is ironic and funny, making it a very entertaining read for young and old. Everybody has a friend or family member like Hamster. He loves being the center of attention, he’s selfish, and greedy. His friends Rabbit, Snail, Squirrel, Mole and Hedgehog all know what he’s like but love him no matter what. Reflections of a Solitary Hamster is Gecko Press’ first graphic novel, written by Astrid Desbordes and illustrated by Pauline Martin. Through each quirky episode Hamster and his friends learn some important lessons about friendship, sharing, and that it is the thought that counts. Gecko Press’ `curiously good books’ are always presented so beautifully and Reflections of a Solitary Hamster is no exception. Great for children and teens but particularly adults as they will get the often subtle sense of humour. There’s another group of unforgettable animal characters in Astrid Desbordes and Pauline Martin’s wonderful graphic novel Reflections of a Solitary Hamster. These ones remind me powerfully of the inhabitants of Tove Jansson’s Moominland, partly because so many of them are individualist oddballs, and partly because of something harder to define: a blend of melancholy and hilarity, combined with a basic yet sophisticated visual style. This looks like a children’s book – large format paperback in classic comicbook style. The creatures (hamster, mole, squirrel, rabbit, hedgehog and snail) are extremely engaging in that highly simplified, flat plane, child-like artistic style… It is very funny and delightfully subtle… In a series of vignettes, egocentric Hamster brings together his friends for a birthday party. 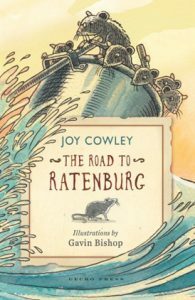 There are layers of subtlety, so you can certainly read it with children and it is likely many will find it engaging, but it is more likely to be a hit with the adults who are reading it aloud… It is a sophisticated picture book that should not be missed. The author has a background in philosophy and a fine eye for the foibles of human behaviour, delightfully represented in the quirky illustrations. It comes as no surprise that Desbordes studied philosophy, given the whimsical nature of this beautifully illustrated, large-format softback. It revolves around self-absorbed Hamster and the five friends who love him anyway: Mole, Hedgehog, Snail, Squirrel and Rabbit, who is something of a rival. Pauline Martin’s comic strip-style illustrations create a lengthy series of vignettes that capture the characters musing about life, the universe and waffles as events move inexorably towards the forest’s big event, Hamster’s birthday. Another brilliant Gecko Press production. I love it… An existential comedy. It absolutely tickled my funnybone. aged five and older. Hamster is lucky to have lots of friends who love him warts and all, despite his selfish streak. ‘I love waffles. The fear of running out haunts me. I can’t help that,’ Hamster says to himself after telling Rabbit he has no waffles left to give him.